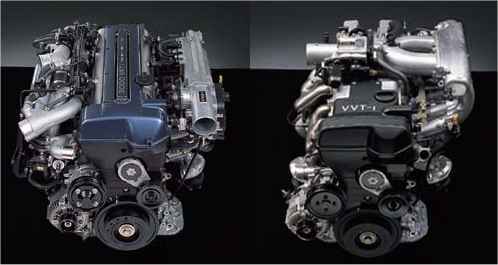 I thought I’d start a page with pictures of anything VVTi related such as engines and parts for people to reference.I will update whenever I have any further pictures. Thanks to the various resources for taking some of these pictures. Back in late October 2012 myself and some friends took our supras and other cars down to a 1000m sprint event organised at an airport in a regional town named Cooma which is in NSW Australia. I had gone to a similar event the year before and had great fun but also the car was just tuned and I was sorting out bugs, this year I still had ignition issues but car did run better top speed. I managed a best run of 24.1 seconds @ 240kph and 27th out of 95 overall, bet the lambo so that’s all that matters! Another supra guy ended up with a 21.6 second and 281kph with a 3.4lt beast, which was the top speed of the day. 35′ GTR took out the top stop with a run of 20 seconds flat at 261.8kph due to pesky AWD! Start line was really bad loose surface, bad 30kph head wind and also runway was slight uphill. Hopefully next year I can improve with all the bugs in the car sorted and the start line getting re-surfaced. Some video and pictures below.